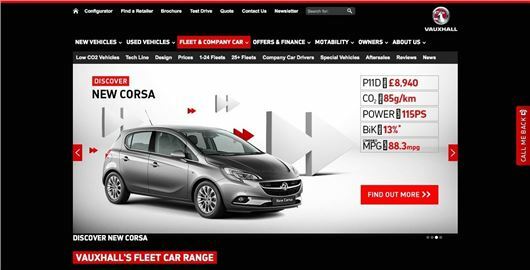 Manufacturer websites are the number one source for information when choosing a new company car according to new research, ranking above traditional brochures and fleet managers in importance. A staggering 20% responded in the Sewells Intelligence User Chooser Barometer survey stating they use manufacturer websites as their first source for information when searching for a new company car, out weighing company vehicle choice lists. Of the 20 sources offered, 42% of the 2,200 respondents used a manufacturer website as a source when searching for a new company car with 23% stating it was a 'very useful' source. These statistics further underline the importance of manufacturer websites when making a first impression with potential customers. The traditional manufacturer brochure was the second most used source of information however only 6% of respondents used considered these as a primary source. Simon Staplehurst, commercial manager at Sewells Research and Insight, said: “The importance of the website as a key element of marketing real estate has never been clearer. With more opportunities to go online through mobiles and tablets, having sites that work across multiple platforms and devices is critical. “It seems that the customer buying process has shifted. The typical journey now begins on a manufacturer site before customers move on to independent websites, forums and blogs to research their purchases. Engaging with potential customers during their research phase now means making sure your website supports this shift as well as finding ways to bring customers back from third party sites.